Recruitment and international working visas often go hand in hand for hospitality businesses in Australia. The abolishment of the 457 visa programme introduced a number of difficulties to hospitality management staff. 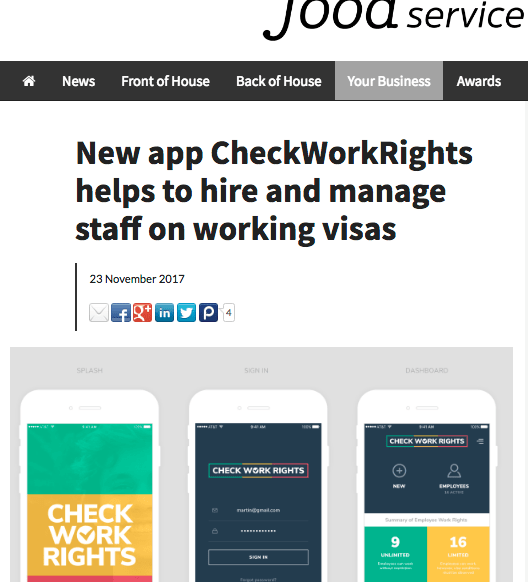 Chiefly, these changes restricted cooks and restaurant managers to two year visas without permanent residency outcomes. With this much more to consider when looking offshore, efficiently managing your legal obligations isn’t a problem hospitality employers need in 2018. For us educating hospitality businesses around the penalties of non-compliance is about ensuring business owners have the tools and information they need to make informed management decisions.